As we approach the weekend with news of another mass shooting, we pray for those affected in Thousand Oaks, CA. It seems like a good time to listen to "The Power and the Glory" sung by the CrossRoads Worship Band recently. Enjoy this First Church E-News. Vision 2025 - Experience Love. Spread Hope. In addition, it is Veterans' Sunday. We will honor all those who have served our country and have a special ceremony at the flagpole following the 11 am service. Stewardship Campaigns – You Gotta Love ‘Em! The truth is I don’t. I don’t like fundraising – the games people play around money, the strange looks people give you. I just want people to do what God calls them to do without me having to make a push. But I have noticed that those who lead organizations who are doing great things and making a great impact are quite unapologetic about asking for funds...political campaigns, booster clubs, universities, hospitals, etc. I also know that what we do in the name of Christ is the hope of the world, so why are we so apologetic in asking for support or shamed by fellow Christians when we do? And I do like what happens to people who discover the joy of being in a receiving and giving relationship with God. Their finances are healthier because of it and their walk with God is more dynamic. And I do like what happens when the people of God become more generous. It results in more daring ventures that reach people, less stress in administrative committees and staff meetings, and the freer and more responsive worship of God. This Sunday will be the first of three Sundays in which we will be receiving commitments for the 2019 year of ministry. Commitment cards will be provided as you come into worship. You can also make your commitments online at our website. Please be in prayer that God will lead you in your giving. Don’t give 'til it hurts with the sense of obligation and being made to feel guilty. Give 'til there is liberated joy...the sense that God and you are up to something powerful and wonderful. That is exactly what we are about at First Church! Thank you to the many who have filled and returned the Thanksgiving Bags. If you haven't returned your bag(s) yet, please bring them on Sunday. We will be delivering bags to families on Tuesday, November 13. We could use more help with set up between 1:30 and 7 pm. 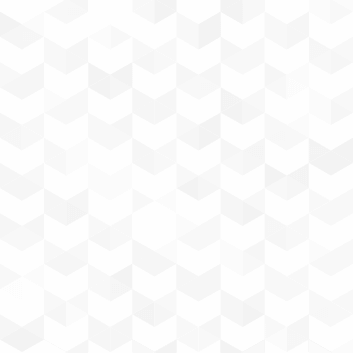 Click here to assist with set-up. We also need additional drivers to deliver meals from 6 - 7 pm. Click here to sign up to drive . J-Team is this Sunday! We hope your 3rd-5th grader can join us for pizza in the youth cafe at 5 pm. Our event will be hosted by the Texas Master Naturalists. They will lead us in a Leaf Litter activity. There will be paint involved, so please dress appropriately. The cost will be $2.00 for pizza! 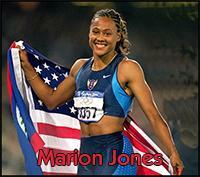 Marion Jones, the Olympic champion and gold medal runner, is coming to the UMW Lydia Circle on November 13. It is a salad supper to start at 6 pm in Payne Cottage. Please bring a salad to share. Marion will speak right after the meal. The meeting is open to all women of the church and any guest you might like to bring. To help us plan for seating, please RSVP to Patti Ruth at 512-944-5339 or pjruth1@gmail.com. If you've lost someone and are struggling with grief, join us for GriefShare, a 12 week curriculum which helps you walk through this difficult experience. Each session is an hour and a half and includes video and discussion. 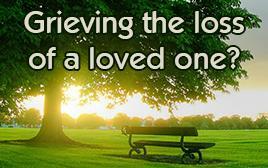 Don't go through your grieving alone. Sign up on the website or call Rae at 512-255-3336 if you want more information. During the month of November, please come out to the Twin Oaks Cafe and support the Ministry of Motherhood (MOMs). MOMs will be running the cafe and all proceeds and donations will go directly to our 2018/2019 mission projects. We will be selling donuts, breakfast tacos, coffee, soda and tea, as well as a variety of baked good made by our very own members! What exactly does MOMs do, you ask? We are a group of roughly forty moms committed to being strong and positive role models for our children and a bright light within our community. We coordinate monthly play dates and ladies night outs for our group and provide meals for mothers who have just had newborns or surgery. We also participate in monthly missions that benefit many different organizations and people in the greater Round Rock area. This year alone we have collected donation items for STARRY and Dell Children's Hospital, among others. We also perform missions through the act of service to others, as exemplified by our yearly visit to Wyoming Springs and or The Oaks Gracious Retirement Living. In addition to these projects, our members also volunteer at First Church events, such as Trunk or Treat and Vacation Bible School. 2018 is shaping up to be a big year for us. We already have many missions planned. Any money you spend at the Twin Oaks Cafe in November will go towards making these mission projects a success! The Ministry of Motherhood is blessed to be part of the First United Methodist Church Round Rock community. Thank you for your continued support!